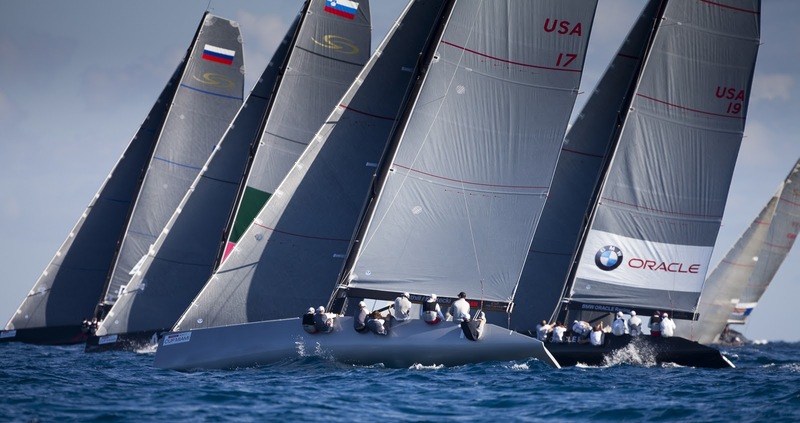 On Thursday we finished up the match racing with a win on Katusha over Cereef. TeamAqua was the overall winner of the match racing beating Artemis in the one race final. 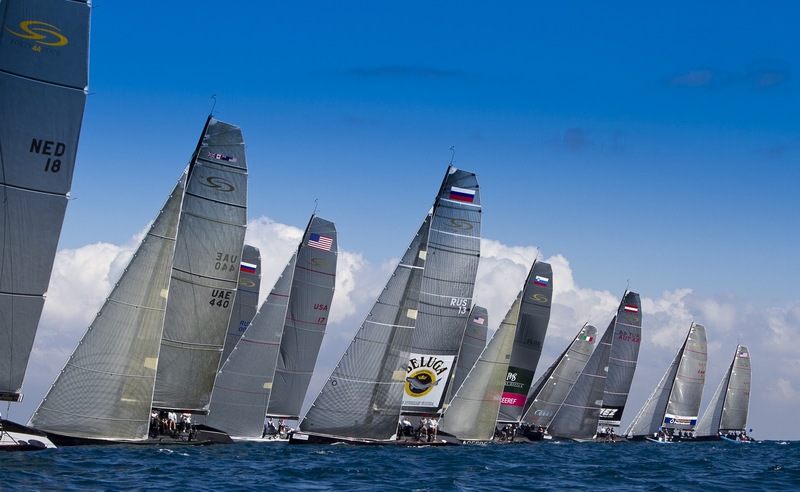 There are fourteen RC 44’s for the first time in the ORACLE Cup RC 44 Miami. Friday was the first day of fleet racing and four races were held in 9-12 knots of wind from the North. The temperature returned to normal here in Miami with 76 degrees and sunshine. The wind was fickle and very challenging. We had medium day yesterday with most of our finishes mid-fleet. Artemis had a great day winning one race and is in second place over all one point behind "17" with America's Cup winner James Spithill as tactician. Saturday's forecast is for a rather light northeasterly sea breeze. Six more races are scheduled over the weekend.